Blueprint Gaming is a supplier of gaming machines and digital content to both land based operations, gaming networks and both online and mobile casinos. Part of the Gauselmann Group, they have a huge gaming operation behind them with over 50 years of experience. 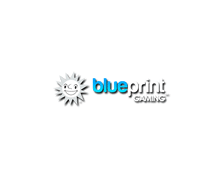 Blueprint Gaming has made their name mainly in delivering games to be used in arcades, pubs and betting shops with great success in the United Kingdom especially. Some of these games have been produced for online and mobile play including the branded Worms, Viz and Bejeweled 2. William Hill (via their Vegas product) offers most of Blueprint Gaming’s titles with some of them reviewed and available to play for free here at Online-Slot.co.uk. You’re not going to find an online casino with just slots from Blueprint Gaming but they do compliment a slots offering quite nicely as they games as well designed, sharp and simple – you will find most of their slots at the big UK bookmakers who also run casinos (Paddy Power, bet365, Sky Vegas).